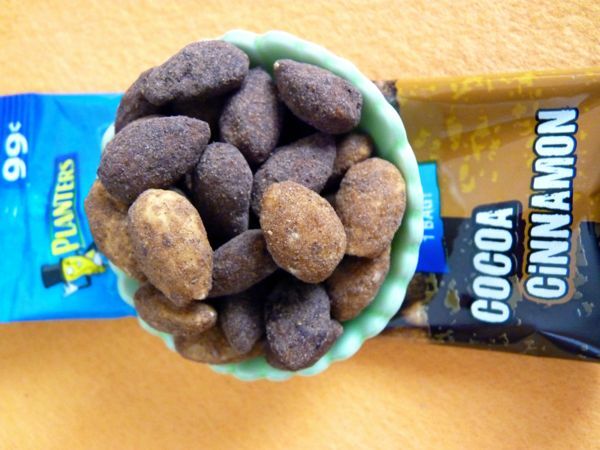 Today was Day #5 of Chocolate and Cinnamon Theme Week. 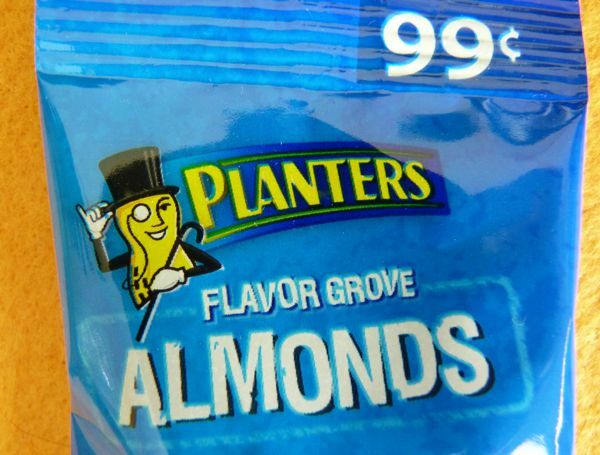 And, even better, this bag of "Flavor Grove" Almonds from Planters featured Mr. Peanut -- the company's beloved monocle- and top hat wearing legume. 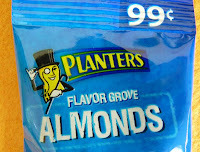 No other peanut in the shell that I've seen wears white gloves and carries a black cane. Mr. Peanut is one classy nut. 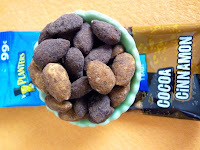 The cocoa and cinnamon almonds in this single serving bag were not too sweet -- which I liked.